Fencing products have been an ever-present for Southern Timber. Our stocks of traditional fencing, feather-edge and trellis are maintained through the winter. Featheredge boards are stocked in a choice of 125mm and 150mm lengths include 1.65m and 1.8 metres. fencing rails, featheredge capping and sawn fence posts are all stocked. 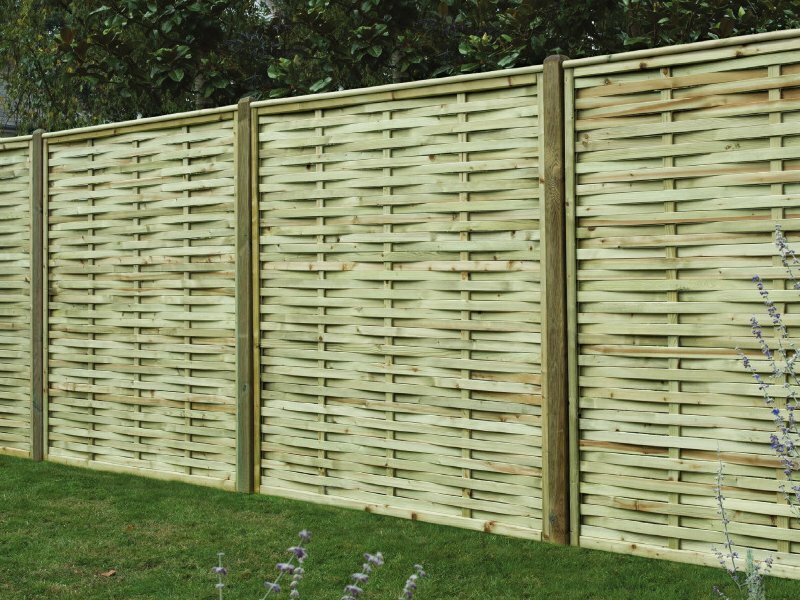 If preferred we also have ready-made featheredge panels in four different heights available from stock. Our traditional lap panels are tanalised and we think they qualify as an HD (Heavy Duty) product. We could sell cheaper panels of a lower specification but we would rather sell quality. Designer panels are still selling. We introduced the Premium Woven Fence Panels in February 2018. 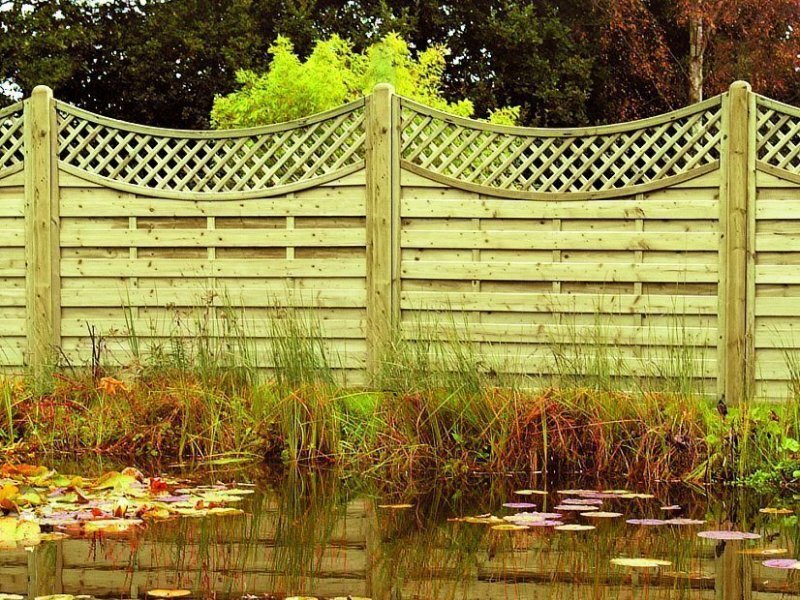 Contemporary in style this panel is produced by one of our established garden fencing Suppliers. It is decorative and combines a sturdy design specification, quality materials and pressure treated timbers. Our yard stock includes privacy panels and lattice topped products too. After many years of faithful service we have discontinued this product. The Concave and Arched Lattice panels have largely been displaced by the Omega mainly because it is available in four different heights. This panel has been reduced down to £29.99 plus VAT, stock is quite fresh and when they have gone they have gone! Our stocks of timber for fencing products is vast. We have sawn and planed timber components ready to go. Hit and miss vertical fences are ideal for exposed areas such as the Devon and Cornwall coasts. Chevron styled fences can be fashioned out of low-priced sawn timber and then capped to help protect exposed timber cuts. While talking of cut timbers a mention should be made for Ensele. This product is inexpensive but essential for preserving your timbers after they have been cross-cut.